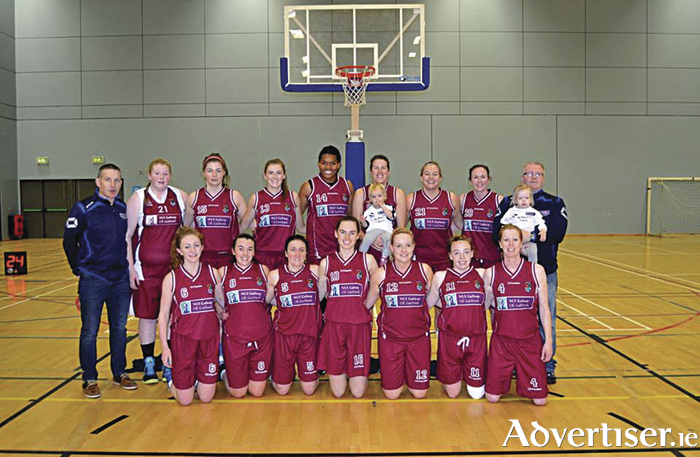 NUIG Mystics - Basketball Ireland’s League and Cup winners. UIG Mystics have been crowned champions of Basketball Ireland's women's division one. The Galway wrapped up the title with a 67-64 win over Fr Matthews with a game in hand, thus completing the league and cup double. With just won loss this season, Mystics finished the nine-team league six points ahead of their nearest rivals from Cork. Although Fr Matthews were confident of taking the league decider down to the last game, NUIG Mystics were ahad by 21-13 at the first quarter’s end. Starters Hannah Coen, Ailish O’Reilly, Marritta Gillcrease, Lauren Murray and Deirdre O’Shea all found the basket with O’Reilly leading the way with nine points. Murray started the second quarter with a three-pointer, while Coen and Gillcrease working tirelessly inside on defence, helping to push Mystics to a 36-23 lead. Fr Matthews came out fighting, won the third and cut the gap to 49-40. Going into the fourth Fr Matthews had some foul trouble with 4 of their players on 4 fouls, they fought hard though and with Mystics tiring they introduced Emer Smyth & Aoibhin O Neill and their fresh legs proved very helpfull to Mystics. Fr Matthews drew level with less than three minutes remaining, but a big 3 from Coen saw Mystics take back the lead, and with Fr Matthews on team fouls Mystics went to the line through O’Reilly and Coen to secure the win and the National League title. They completed the season on Sunday in front of a large home crowd in the Kingfisher, seeing off Ulster Rockets by 59-51. Mystics could face the Ulster side again if the Rockets overcame Oblate Dymamoes to progress to the league final top four. Mystics will be at home on weekend of Feburary 12/13.